Dr. Griggs received her undergraduate degree from Mount Holyoke College and her MD from the University of Buffalo. 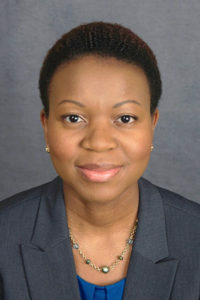 She completed her Residency and Chief Residency in Internal Medicine and Fellowships in Hematology and Oncology and Health Services Research at the University of Rochester. She was then the Director of the Comprehensive Breast Cancer Program at the University of Rochester in the James P. Wilmot Cancer Center in Rochester, New York. 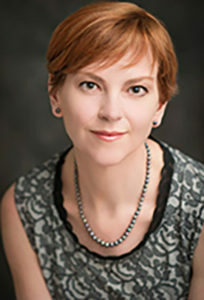 In September 2006, she joined the faculty at Michigan Medicine, Comprehensive Cancer Center (MMCCC) with a practice in the Breast Oncology Program. 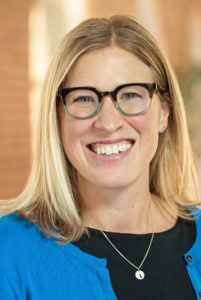 Dr. Griggs’ research interests focus on patient-provider communication, quality of care, including end-of-life care, and care of cancer survivors. She is the Past Chair of the Clinical Practice Guidelines Committee at the American Society of Clinical Oncology (ASCO), was a member of the ASCO Health Disparities Committee, and has been the Chair or Co-Chair of several clinical practice guidelines. Dr. Uppal received his medical degree from the All India Institute of Medical Sciences in New Delhi, India. He graduated from his residency program at Temple University Hospital in Philadelphia, Pennsylvania and went on to complete his fellowship training in gynecologic oncology at the University of Wisconsin in Madison, Wisconsin. He joined the faculty of the University of Michigan as an Assistant Professor in 2014. 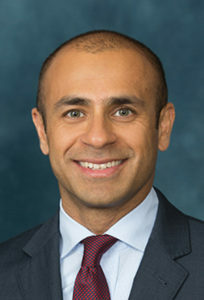 Dr. Uppal’s areas of expertise include minimally invasive surgeries with a focus on sentinel lymph node dissection, robotic surgery as well as single-port laparoscopic surgery to improve surgical outcomes. Dr. Uppal’s research program focuses on patient-centered, evidence-based care. In particular, he has published numerous high-quality publications on quality of care in gynecologic cancers. Most recently, his research has focused on reducing surgical site infections and readmissions after complex oncologic procedures for women with ovarian . Louise is a nurse with over thirty years of healthcare experience. She started her career in academic neurosurgical and cardiac pediatrics and was promoted to administration before completing a Masters of Business Administration and a Nursing Administration degree at the University of Michigan. She transitioned to consulting and for twenty years worked with large multi-specialty groups, academic centers and health systems across the United States on projects focused on improving quality and decreasing cost in clinical and support settings through process improvement. She joined MOQC as Program Manager in April, 2016. 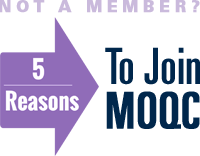 She believes she can contribute to the success of MOQC practices from the perspective as a leader and a cancer survivor. She looks forward to getting to know and to work closely with all MOQC physicians, practices and staff. Sam received her Master’s degree in Clinical Research Administration from Eastern Michigan University. She has over 10 years of research experience at the University of Michigan, with a focus in project management, site management, and site monitoring. As a site manager and site monitor at a multi-center clinical trial network focusing on neurological emergencies (such as stroke, TIA, and TBI), she worked with participating research sites to meet and maintain compliance with trial protocols, Good Clinical Practices, institutional and NIH policies, and FDA guidelines. Prior to joining MOQC in September 2017, Sam worked as a project manager for an NINDS-funded program designed to help investigators develop scientifically rigorous and practical clinical trials. Dr. Mackler received her PharmD from Drake University and completed her Residency experience in Pharmacy Practice and Oncology at the University Hospital in Cincinnati, OH. She joined Michigan Medicine in 2002 as a Clinical Oncology Pharmacist. She founded the Oncology Specialty Residency at the University of Michigan in 2003 and was the program director until 2013. 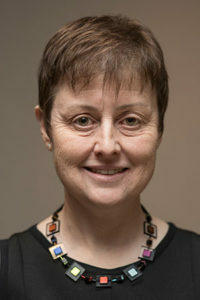 She has been involved in multiple oncology quality and safety endeavors including serving as the co-lead and founding developer of the NCCN Chemotherapy Order Templates since its inception in 2006, founding pharmacist in the Cancer Center Symptom Management and Supportive Care Program at the University of Michigan 2009 – 2012, founding director of the University of Michigan Oral Chemotherapy Program in 2012 and thereafter MOQC’s Oral Oncolytic Program in 2013, and Course Director of the Michigan Society of Hematology Oncology (MSHO) Annual Pharmacist’s Meeting since inception in 2013. 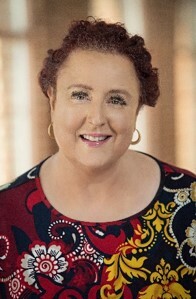 HOPA representative for the National Quality Forum since 2017, and Task Force Chair for the HOPA Quality Oversight Task Force since 2018. Dr. Mackler’s research and practice interests focus on oncology symptom management, quality of care, chemotherapy safety, medication adherence and patient reported outcomes. Kleo received her Bachelor of Science degree in the Biological Sciences from Wayne State University. 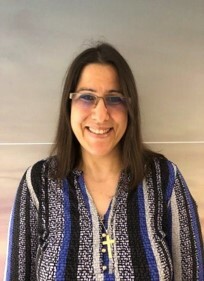 Her 18 year experience as a research assistant in the Departments of Ob/Gyn and in the Department of Pathology at Wayne State University helped build her the knowledge and ability for data collection and implementation and adherence of clinical guidelines for physicians. Prior to joining MOQC in April 2016, Kleo was a Clinical Data Analyst at Ascension Health’s St. John Hospital at the Van Elslander Cancer Center where she abstracted lymphoma patient data into a clinical research database, utilized by clinic staff for publications, posters, and abstracts. In addition to the lymphoma database, Kleo also became the lead abstractor for QOPI and MOQC patient data abstraction for the St. John Hematology and Oncology Clinic during her 7 year stay at St. John’s. She also pushed to have physicians in the clinic implement the important MOQC sponsored Tobacco Cessation Program into that clinic’s practice. Kleo will continue using and further developing her MOQC abstraction and post-abstraction knowledge in a wider abstraction model across the state to help physicians and their staff achieve greater quality patient care goals in the coming years. Cindy Straight joins the MOQC staff and brings 30 years of practice management experience. Her most recent position was the Manager of the Rogel Cancer Center Call Center, and in her spare time, she worked for MOQC as a QOPI abstractor. Cindy spent 15 years at Henry Ford Health System as a Business Manager of Satellite Operations and has a successful record of process improvement and team building. She attended the University of Detroit/Mercy main campus for 3 years full-time and then was accepted to a Radiologic Technologist program at Mt. Carmel Mercy Hospital for 24 months. After graduation, she worked in her early career as a Registered Radiologic Technologist at Detroit Receiving Hospital in the Emergency Room on the midnight shift for 5 years. The stories she can share from that time are as interesting and as valuable as the experiences! She is looking forward to contributing and sharing her knowledge with the new team and establishing a relationship with all the practices.